Visit our website for more information about activities at the Learning Center. The Oaxaca Learning Center is a non-profit organization in Oaxaca, Mexico that offers free tutoring to students between the ages of 14 and upwards. The students who come to the Center for assistance are usually from small villages throughout the state of Oaxaca. Typically they have few financial resources, often living away from their families for the first time and struggling to adjust to city life. Most often they have come from environments that have not supported good study habits. 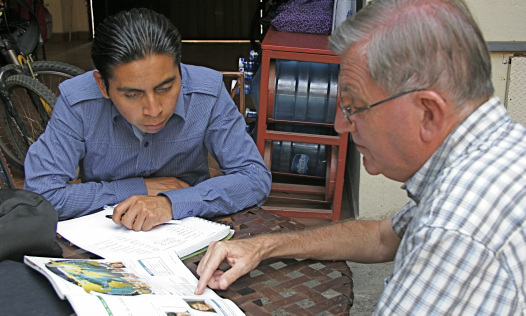 The young people at the Center get help in mathematics, chemistry, physics, and Spanish. Also on offer are English language classes and tutoring as well as computer literacy, typing, and counseling. For many, the Center has become a home away from home where they always feel welcome, have a place to share experiences with other students, and seek advice from the tutors and staff.